Hotel rooms at the discounted rate are limited and offered to guests at a first-come, first-served basis. Book by clicking here or calling 813-204-3000. Book by calling Marriott Reservations at 1-800-228-9290 or 813-221-4900. Mention MCOM Reunion. The Museum of Science & Industry will offer Reunion members a discounted admission of $5 per person for up to 6 people in each party. 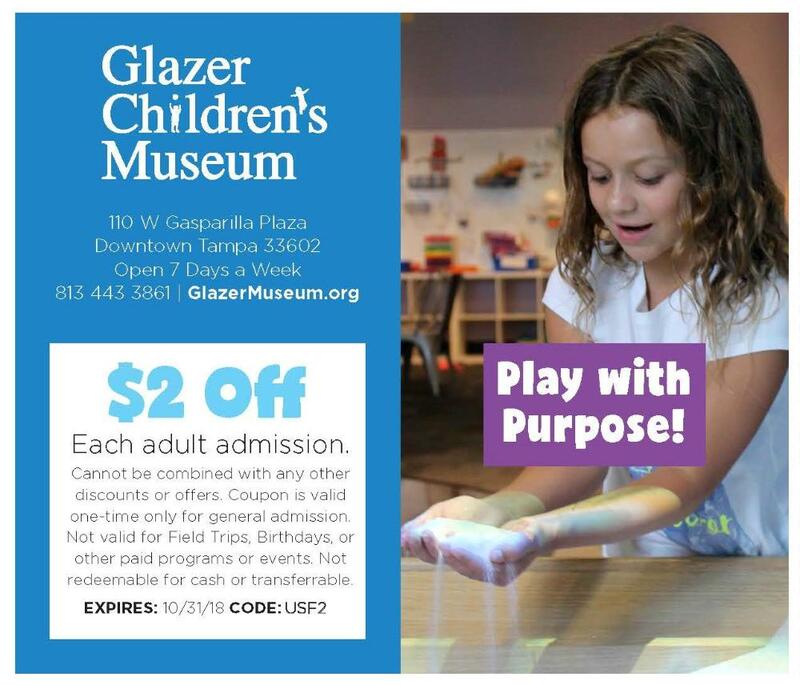 The Glazer Children's Museum will offer Reunion members a discount of $2 off admission per person. Use code USF2 online or bring the coupon to the museum.